Hortus Camdenensis | Abies pinsapo Boiss. 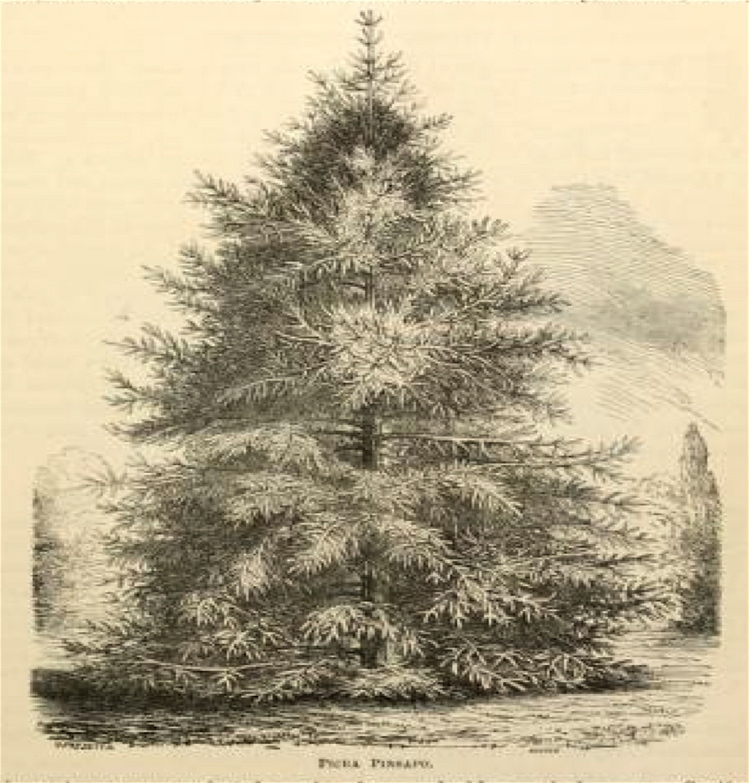 Fully-hardy, evergreen tree with a conical crown , becoming untidy with age, with grey-blue leaves, to 2cm long, arranged radially around the shoots, and cylindrical cones, to 15cm long, ripening to brown. To 25m. [RHSE, Hortus, Hilliers']. Introduced to England in 1838. [JD]. 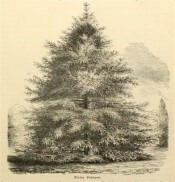 ‘One great merit of this Silver Fir as an ornamental tree consists in its faultless symmetry of growth; while among other qualities of no small importance may be named its perfect hardiness, as well as its indifference as to soil so long as it is moderately light, though it doubtless prefers one which is deep. As a specimen tree for lawns and pleasure-grounds few of the firs are more pleasing; while as an avenue tree and for timber, it lays strong claims on the attention of planters. Its fine green colour, and the thickly-set leaves standing out at right angles, and giving the twigs a bottle-brush-like appearance, add much to its beauty.’ [Florist and Pomologist p.66/1873]. FS f.1437-1438/1858. Listed only in the 1857 catalogue [C.51/1857].